Over two dozen high school STEM educators took part in the Center for Excellence in Education‘s “Bite of Science” event at the Virginia Air and Space Center October 10, and were treated to a presentation by APS’s own Dr. William B. Moore. 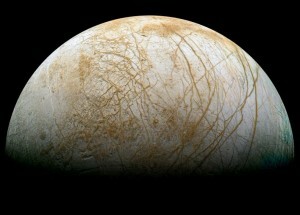 While the teachers dug into a catered meal in the museum library, Dr. Moore gave a presentation on the exploration of Jupiter’s moon Europa. 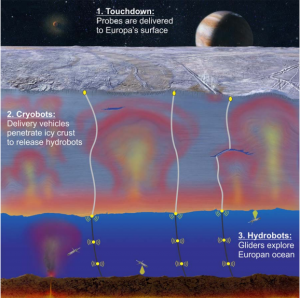 Afterward, the teachers brainstormed some ways to take the science of Europa exploration back into their classrooms. The second half of the event featured Mike Wallace, an engineer at Newport News Shipbuilding, who wowed the audience with stories of some of the amazing things being built at the shipyard.